I hope you are enjoying the fantastic weather! As we move into April there are many exciting events happening at Roderick! Thank you to everyone who participated in the Roderick School Needs Survey. 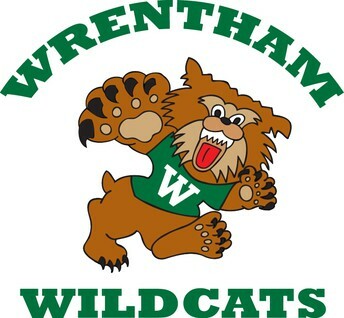 The results of this survey will be reviewed by the Wrentham School Council to identify areas of success and improvement moving forward into the 2019-2020 school year. As always, if you have any questions, comments, or concerns; please don't hesitate to let me know. Get a good night of sleep before the test. Eat a healthy and well balanced breakfast. Encourage a calm and relaxed morning routine. Please remember to arrive on time to school each testing day. If a student is tardy during the MCAS test, they will need to make up the test a subsequent school day. We are looking for your input and voice in the placement process for next school year. Parent and guardian input is an important aspect of creating balanced classrooms and successful learning experiences for all students. If you would like to provide parent input for consideration in the placement process, you are invited to fill out a google form that will be emailed to you on Wednesday, April 10th. This is a great opportunity to provide input on your child's strengths, weaknesses, health considerations, and/or potential peer conflicts. Please remember that this is not a tool to request a particular teacher. We will be accepting placement input from parents and guardians until Thursday, April 25th. We value parent voice in the placement process as an important tool for creating classrooms that all children can find success both academically and socially. Join us for a fun and exciting summer at Wrentham Summer Institute. Summer Institute is an athletic/enrichment program for children in kindergarten through grade six. The program is held from 9:00AM to 12:00PM, Monday through Friday for four weeks beginning June 24, 2019. All classes will be held at the Roderick School. Amazing new classes have been added this summer along with the return of some traditional favorites! Our Wildcats were all successful in reaching the podium at the DI Regional Tournament with three out of the four teams heading to the State Tournament! Our teams all brought home ribbons! Two first place awards; Elementary Level Technical Challenge for the Wiggle Worms, and Middle School Level Scientific Challenge for the 7 Wonders of Wrentham. A second place award for Senior Level Improvisation went to Team Kranch, a team of WPS students now freshman in high school who have been together since third grade. By virtue of so many teams in this level of competition, the top two teams at the Regional event advanced to the State Tournament. Our third place award went to a first year team of 4th graders. They called themselves the Medieval Medicators. They caught the attention of the Appraisers for their outstanding creativity in making their own paint out of glue and dirt and melting crayons to decorate a castle However, most noteworthy of all was the special award called the "Spirit of DI". This award is given in recognition of those who act as superior role models in the areas of spirit, teamwork, sportsmanship or volunteerism. Our 6th grade team, the 7 Wonders of Wrentham, have been together since 3rd grade. This year two of the team members' families moved and one changed schools. The team did not let that stop them. They arranged their team meetings to be able to include everyone, even if that meant Skyping with their teammate in Colorado! On tournament day, when they introduced themselves they held up a picture of their Colorado teammate and had her participating in the presentation via pre-recorded video. This caught the attention of many and was truly deserving of being recognized for outstanding teamwork. The State Tournament just held on March 30th, was again a very successful tournament for WPS! Our 7 Wonders have become the most decorated medal/trophy winning team in WPS DI history! They have earned their third invitation to the Global Event in May in as many years. The solutions each year are always impressive and this year was no different. The margin of scores were incredibility close across all challenges. Our 5th grade Wiggly Worms Elementary Level Technical Team and Team Kranch Freshman KP Secondary Level Improv Team each placed 4th. We have so much to be proud of! We are already looking forward to next year and hope that many more student will step up and accept a DI Challenge!